TP-X® palm material excels in oils and fl uids because it does not absorb liquids. 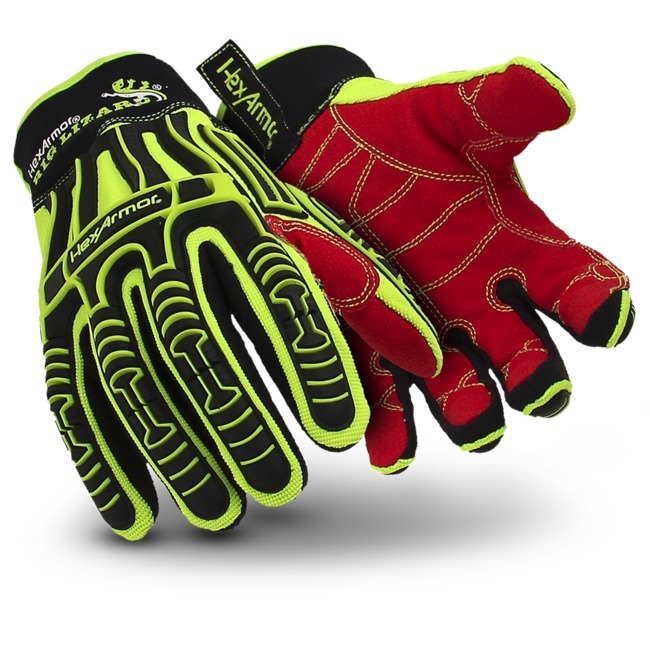 This makes it ideal for maintaining grip in oily or wet conditions, when lesser gloves would fail. This advanced material features grooves in the surface that enhance grip over time. A more robust, heavyduty alternative to TP-X®, the TP-X+® palm provides increased cut, puncture and abrasion resistance, and may provide heat resistance as well. Synthetic leather palm with PVC dots provides a solid overall grip, especially in wet conditions. The PVC dots channel away lubricants, create friction and improve grip on saturated tools. Wrinkle rubber latex is a fl exible, non-porous palm coating that provides excellent dry grip. It offers good wet grip, but is not recommended for use with hydrocarbon and organic solvents such as gasoline as these can cause premature degradation. This polymer may cause allergic reactions in some people. When wrinkle rubber gets wet, it can turn a powdery gray; however, this does not affect performance. Sandy nitrile provides a good dry and wet grip. It is lightweight, providing excellent dexterity, and it also adds a high level of abrasion resistance. A good choice for incidental contact with unknown substances such as solvents, chemicals, oils, etc. 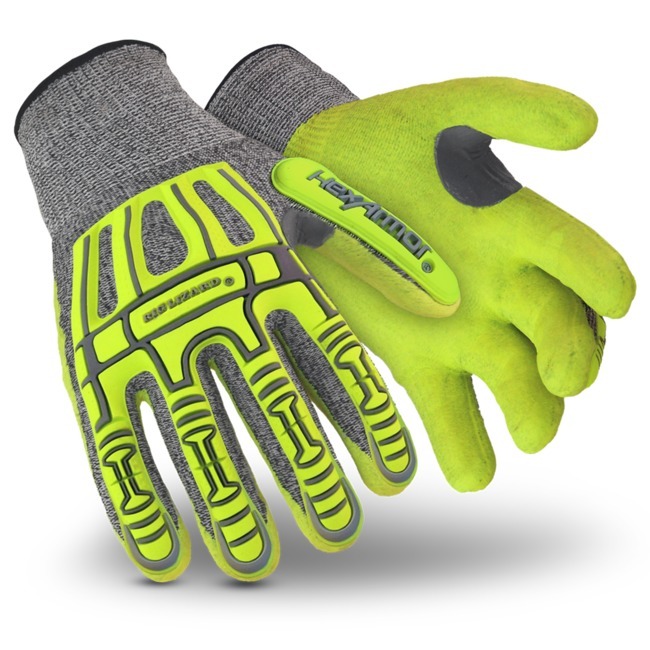 Durable synthetic leather palm with heatresistant hi-vis silicone pattern delivers maximum grip and dexterity. Premium PVC nitrile blend is often used in gloves designed for liquid and certain chemical resistance. It is an effective barrier against water and most watery solutions, such as detergents or diluted acids. Because PVC is 100% synthetic, it contains no latex proteins and is hypo-allergenic. Integrated particles for enhanced grip.